This morning, as my boys were getting dressed, pants half pulled on and pajamas strewn across their shared bedroom, my five year old son became excited to see how he "measured up." 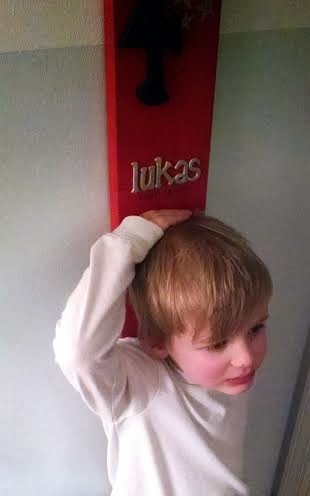 A wooden growth chart hangs near their bedroom door, and each birthday we mark how much my two sons have grown, taking time to pause and remember all that's happened in that year. It's a simple chart, marking dates and heights, but when my son wanted to stand in front of it this morning, heels tight to the wall, palm skimming the top of his head, a little sadness caught in my throat. Not a nostalgic sadness that wished for time to slow down, but a sadness to see how concerned he was that he was measuring up. And I wondered how much I was responsible for this concern. As many first-time parents do, I anxiously read all the books and blog posts. Was he reaching his milestones at the correct time? Did he have enough words in his vocabulary? Shouldn't he be walking by now? I measured him in so many different ways. Had I passed this concern onto my son? Would he always be looking for where he should be instead of enjoying where he is at? And as a teacher, isn't this similar to what I do with my students: grades assigned to essays or tests perhaps before students have quite reached their full potential. Some students need more time to grow, to learn and practice the skills we expect them to demonstrate. Others will have their growth spurts early, charging ahead of their classmates for a time. But learning shouldn't be about the race to see who measures up the fastest. But with an increased focus on high-stakes test scores, it seems that this is all we are concerned with - how fast and how well do our students measure up. My tenth grade students acutely feel this measuring. As sophomores, many of my students sign-up for weekend SAT prep courses or work with tutors, and take the PSATs, and take our state standardized tests in English, biology, and algebra, and then end the year in grueling AP tests. At so many different points they are tested; their scores measured against those of neighboring districts and districts across the state. We talk of students as groups, as numbers. But what about the individual? That's what caused tears to catch at the corners of my eyes this morning as I saw my five-year-old trying to measure up. Next fall when he enters kindergarten, I hope his teacher doesn't just see how well he does on a vocabulary test or how well he knows his b's from his d's. I hope his teacher gets to know my joke-tellin', rhyme-lovin', puzzle-solvin', song-singin' little boy. And more than that, I hope that his teacher encourages him to be creative, to explore, to listen to the world around him, to get to know his classmates, and to not worry so much about whether he measures up. I, too, need to remember this for all the students who find their way through my classroom door. Jen, I loved this. It's the hope of every parent that their child's teacher really sees hi /her for the person s/he is. Welcome to #sol14. I'm glad we're doing this together. I can relate so much to how you are feeling. Our children seem to be constantly compared to others. I think one of the most important things we can do for them, as parents, is to show and tell them how they are unique, talented and wonderful INDIVIDUALS and that we will love them just the way they are. It seems as if the idea of "measuring up" permeates through so many different areas of our lives. As a parent of multiple children, you try so hard not to compare them to each other, but it's nearly impossible to completely eliminate that behavior. But, the most important thing you can do is to have an awareness of it and act accordingly. Thanks for voicing these concerns and parallels. And as the mother of a 5-year-old (and 10-year-old and 12-year-old) I can tell you that time just refuses to stand still. Enjoy every minute! 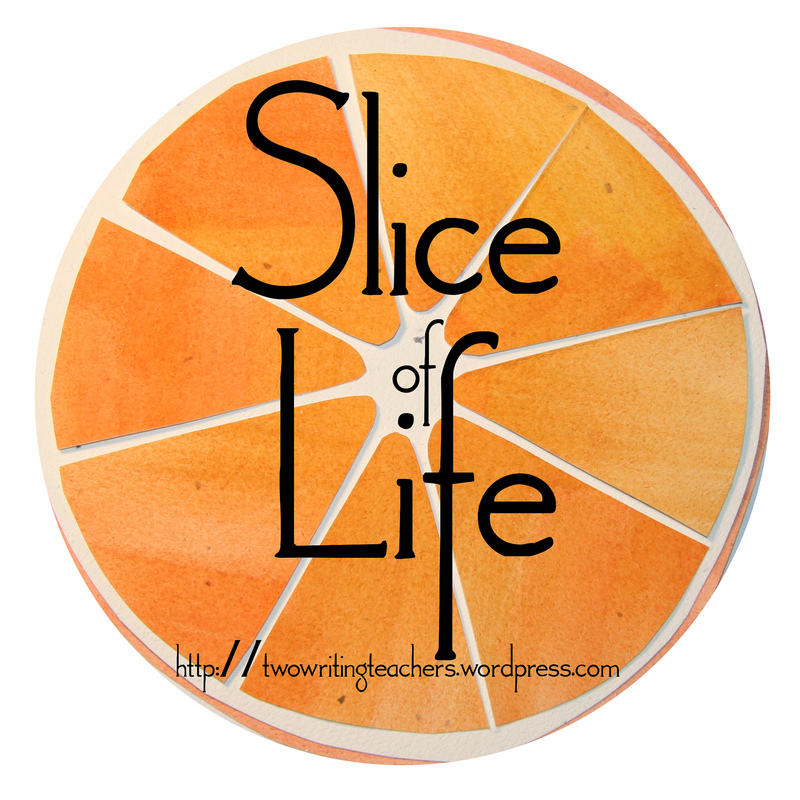 I look forward to reading more of your #sol14 posts! I loved reading this post today. I'm a first-time SOL Challenge writer, also! I agree with you that in this world of high-stakes testing, it's so essential that we as teachers look at the whole child, and not just try to hurry up and assess how they "measure up" like you say. Thanks for the perspective today! Happy writing! I totally agree with your worries about "measuring up." "But learning shouldn't be about the race to see who measures up the fastest." My K-5 students (mostly 1st and 5th) are always wanting me to compare them to each other. I remind them how great they are as individuals. Great post! Welcome to slicing! Oh I am so hooked on the #SOL14 challenge! The number of teacher-writers that I have interacted with in the last 24 hours is truly inspiring! Thanks so much for the feedback! I'm looking forward to a fantastic month.